Meet our newest Tuck Tribe Member of the Month, Donna! She has only been a member for 6 months, but in this short time Donna has become a regular at the studio, taking class almost every day! Her hard work and love for barre is apparent when you take class with her. She is a true testament that barre is for ALL ages and stages of life. Donna, we are so happy to celebrate YOU! Q: What is your favorite part of coming to classes at The Barre Valencia? A: Every time that I take class it gives me more strength and clarity to face the rest of my day! A: The classes have strengthened and toned my body, and increased my endurance and flexibility! A: I love seat work because it is very challenging and requires perfect form and alignment! A: The atmosphere is beautiful, the clients are amazing and the instructors are truly committed to providing a full body workout! Meet our new Tuck Tribe Member of the Month, Kaitlin! Lovingly known as “Patient Zero” because she was our FIRST CLIENT EVER! She was the first person to sign up for the studio and has been a dedicated member ever since, always being a cheerleader for everything The Barre Valencia. Kaitlin, we are so happy to celebrate YOU! A: Since Jenn opened the doors! I was so excited! A: There are so many things I love but the top of the list would be my ME time. Being a full time working mom of two little girls…it’s easy to get pushed to the side and not take care of my own mental, physical, emotional health. I love that I have 3 scheduled hours a week that I know I will get to myself to recenter and be better. My girls see me taking care of myself and making my body strong. I love that. A: I feel like my body has evolved as the classes have evolved. 101 got me long and lean, 102 got me moving faster and 103 gave me a booty and strong legs! A: It does not discriminate and you will never plateau are the two things I always tell people. It’s not a workout where certain people have an advantage. Size, age, athletic ability…we are all on the same ground and shaking at the same barre. There are very few workouts you can actually say that about. At The Barre Valencia we are known for exceeding expectations in customer service. One of the ways we deliver a unique, personalized, barre-class experience is by keeping our class sizes small. We allow a maximum of 15 people in our studio room, this guarantees that every student has individualized attention from the Instructor and enough space to move freely without feeling cramped. Because our technique is based on precision and form, small class sizes also make our students bodies visible at all times to the teacher so he/she can help make corrections. Barre is an education for the mind and body and that is exactly why we stress the importance of providing an optimal learning environment. Besides the one-on-one attention from the Instructor, our small class sizes have helped our community of woman develop deep lasting relationships. Our students get an opportunity to know each other, laugh with each other, and care about each other. Our Instructors are also able to tailor instruction more individually. We take note when a student has made progression in a position that has been challenging for them in the past. And we are also able to attend to newer students just as well as we are able to tend to the performance of more advanced students that might be taking the same class. And the best thing about small classes? They are more focused. Our students work HARD and they expect an environment to thrive in so they can concentrate and reach their fitness goals. Small classes are less disruptive, they are quieter, and have a therapeutic quality to them that allows the mind to better connect with the body. A stronger mind builds a stronger body, and a strong body builds a confident, well-balanced person. If you are looking for a more personalized approach to your fitness routine, we look forward to introducing you to our environment! See you at The Barre Valencia. At The Barre Valencia we love it when new students walk through our doors. Flooring: It is the single most important aspect of a properly designed barre studio and low impact barre class. What type of flooring a studio decides to use is a true testament as to what type of quality facility, teaching, and barre method you will encounter. Our feet are a marvel of engineering. Together, our two feet contain more than 50 bones, accounting for about one-fourth of all the bones in our body. Our feet also have more than 60 joints and 200 muscles, tendons, and ligaments that hold them together and help them move. Thus, despite the distance from our heart, the health of our feet, affect our overall health and muscular stability. Barre can only be low impact if done on a well-designed, protective surface. 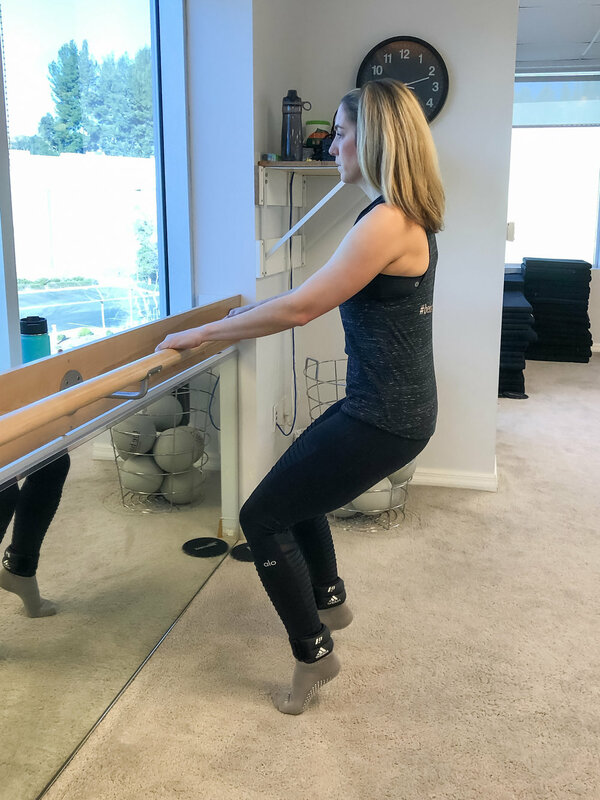 In my 10 plus years of teaching, I have encountered numerous students that have injured themselves while doing barre on improper surfaces such as slippery laminate, hard wood or industrial grade carpet. When barre exercises are done on hard surfaces, the feet become fatigued and worn. When this happens, joints, muscles, tendons and surrounding ligaments become strained and begin to compensate. This leads to injuries not only in the feet, but in the ankles, knees, hips and back. At The Barre Valencia, we are known for excellence, safety and effectiveness. Our floor is custom made. On top of our foundation is a 1 ½ inch thick, specialty made pad that is laced with memory foam to cushion joints and laid on top of that is the highest grade royal blend carpet that enables students to firmly plant their feet in every exercise. The end result is a stable foundation that guarantees zero impact on joints, tendons and ligaments, and full effectiveness for muscle contraction. We are designed to keep you injury free so your body can perform at its highest level. New to barre? Looking for a studio specializing in technique and form? Come give us a try! We look forward to meeting you! A gold standard of barre education deserves a gold memento for hard work! Welcome to our blog! The first post answers the question, "How and when did I decide to create The Barre Valencia?" For the last decade, sometimes unaware to myself, it has been taking form in my head and heart. A crossroads came in my life and it was time for the studio to come to fruition. First off, I have no memories of my life that do not include dancing or moving in some way, shape, or form. I grew up in a dance studio in Iowa City, IA called 'Dance of Iowa', run by a remarkably charismatic lady named, Michael Kohli. Besides my own Mother, I still accredit Michael as being one of the most influential women to ever enter my life. She was passionate, fearless, warm and effortlessly glamorous. Far more than educate me on how to point my foot; she influenced me. Year after year, until I was 18, I practiced with Michael and performed with girls that became my second family and home. During college I was able to study in Rome with the Saint Mary’s/Notre Dame program and then I graduated with Honors in Broadcast Production from The University of Colorado. I worked for FOX Broadcasting Company in Chicago and then Creative Artists Agency in Los Angeles. When I was building my career in Chicago I lost myself for a bit; I was working all hours - late hours, eating constantly with no thought as to what I was putting into my body. I only worked, ate, and rarely slept. I put on weight and then began to cover myself up in baggy clothes including hat and glasses. It took my sweet mother to make me take a long, hard look at myself and realize the spiral I had created. So I signed up for Mat Pilates and connected my mind to my body once more. It was a re-awakening and I kept moving forward unveiling true happiness. In 2007, I began my teaching career as a Fitness Instructor. I first received certification with the national franchise, Power Pilates, in LA. The focus was Mat Pilates, teaching the fundamentals of Joseph Pilates. A little background here: most people know Joseph Pilates worked to rehabilitate injured dancers, but you may be surprised to know he was born with ailments and dedicated his life to attaining physical health. He was highly trained in gymnastics, martial arts and self-defense, and was so highly regarded that he trained individuals at police schools all over England, and at Internment camps during World War I. He believed people's lack of breath, bad posture, and modern lifestyle were the roots of bad health. He encouraged the use of the mind to control muscles and focused attention on core postural muscles to help keep the body balanced and the spine supported. “Pilates” was in fact, originally called, “Contrology” and focused on learning body control. I tell you this since during my life, I've suffered from weak low back muscles and tightness. I'm not naturally flexible and being rather tall, I have struggled to build back and core strength for good posture. The Pilates teachings and exercises registered with me, and became the foundation for my own technique. In 2009, I was introduced to The Bar Method. After three months as a student, I was accepted to be a part of their training program and I went on to become a Master Instructor with them until 2015. 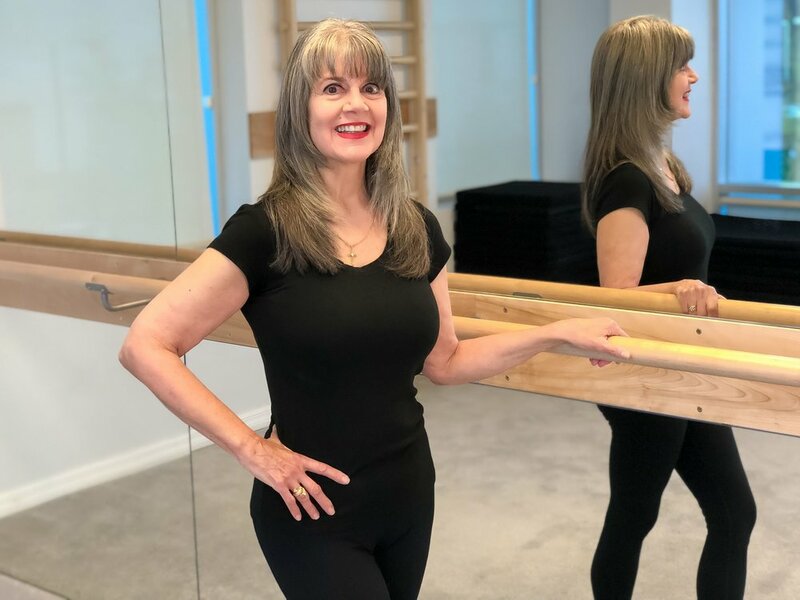 My Barre education went hand in hand with my Pilates education and the combination took my teaching to a whole other level. Barre exercises are more closely associated with the nature of Dance because they were created by a German-Russian Dancer named Lotte Berk. Similar to Joseph, Lotte’s focus was on building core strength and flexibility. Over the course of the last decade, I have immersed myself in the teachings of two very prominent figures in the evolution of physical fitness and what ended up happening was I began to create my own “collection.” After my son was born in 2013, my collection became my own technique and I began teaching and practicing my own spin on things. About a year ago, my family and I moved from Brentwood, Los Angeles to Valencia. After living in the city for almost 8 years, we were ready to live a more quiet life, and Valencia was the perfect fit. We instantly fell in love with the community, the people and the small-town way of living. Jackson, (my little boy) thrived in his new environment and my husband and I were overjoyed with our new neighborhood, friends and home. I have spent the last decade of my life teaching and motivating and it has been one of the greatest joys of my life. Welcome to my dream come true - The Barre Valencia.